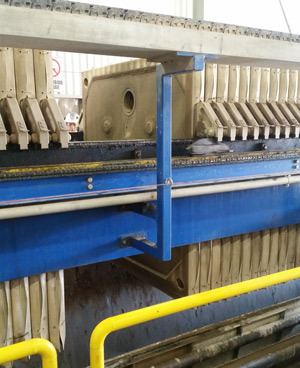 Top 5 Advantages of Recycling Wastewater - Micronics, Inc.
Filter Presses are used to separate liquids from solids so that an industrial facility is able to recycle and reuse the clean filtrate again – and again – while economically disposing of the solids in the form of dry filter cakes. There are many diverse industries and applications that benefit from water and wastewater reuse and these include mining and mineral processing, the power industry, fine coal dewatering, aggregates, lime, granite, frac sand, commercial laundries, plating, breweries, and other industries that may be generators of hazardous waste. Many industries have made water/wastewater recycle and reuse a top priority for the many advantages it offers in terms of time, money, resources, and protecting our environment. 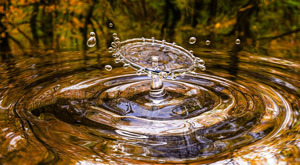 Filter presses dewater and separate liquids and solids in a broad range of industries, many of which are actively developing and implementing strategies for water conservation and water and wastewater reuse. Using advanced, large-scale filter press technology, mining and mineral processing companies can innovatively deal with mine tailings, dry-stacking them, rather than using tailings ponds. Tailings ponds have the potential for various environmental risks such as leaks of contaminants into surface and ground waters used for drinking, wildlife exposure, and consequences to aquatic communities. Agriculture is a major user of water. Using recycled, treated wastewater can relieve the stress on freshwater supplies used for agricultural purposes such as for irrigating crops, commercial and residential landscaping, irrigating public and private golf courses, and for nurseries and horticulture. Treated and recycled wastewater provides a cost-efficient supply that decreases the demands – and stress – on freshwater sources such as groundwater, rivers, and reservoirs. This is particularly important in areas that have been affected by water scarcity and drought. Rather than a disposal liability, recycling and reusing industrial wastewater onsite is now considered a smart business practice, one that helps companies become more profitable and efficient. The transport of wastewater to offsite facilities is very expensive. When industrial facilities recycle wastewater on-site for reuse in a variety of industrial processes, they are saving substantially on transportation, disposal and energy costs. Recycling and reusing wastewater is an economical path to meeting your industry’s large-scale water demands because, let’s face it, many, many industries are extremely water-intensive. Sustainability is a term which is heavily used but not necessarily well-understood. In simple terms, it is focused on meeting the needs of the present without compromising the ability of future generations to meet their needs. It has an economic, environmental, and social component. So what do filter presses have to do with sustainability? A lot. Dewatering of sludge – the separation of the liquid and solid components that make up the sludge waste – is an inherently sustainable, environmentally-friendly technology. It allows both for water reuse and for the cost-effective disposal of the dry cake containing a high degree of solids – which cannot be reused – and which may be hazardous to the environment & future generations, if not handled responsibly. Doing good for the environment by minimizing pollution is a major benefit of using filtration technologies that help with wastewater reuse and recycle. In addition, implementing wastewater reuse strategies makes it easier for you to avoid costly fees associated with non-compliance with stringent wastewater discharge regulations. Being an environmentally-conscious company goes hand-in-hand with profitability.